Our club member and coach James Morris made us all very proud after competing at the Head of the Charles Regatta in Boston, USA over the weekend. This is the second time James secures a place in the largest two day regatta in the world, and this year he was part of two crews, the Irish Masters 8+ and the Directors Challenge Quad. On Saturday 20th James competed as part of the Irish Masters 8+, finishing 13th out of 63, passing several boats along the way. And on Sunday 21st he once again teamed up with his rowing partner Gary Quin (Shandon Boat Club, Cork) and with Mark O’ Donovan and Shane O’ Driscoll from Skibbereen Rowing Club, Cork, who were World Rowing Champions in 2017 in the lightweight pair category. They finished 8th in the Directors Challenge Quad on their “Luck of the Irish” boat. 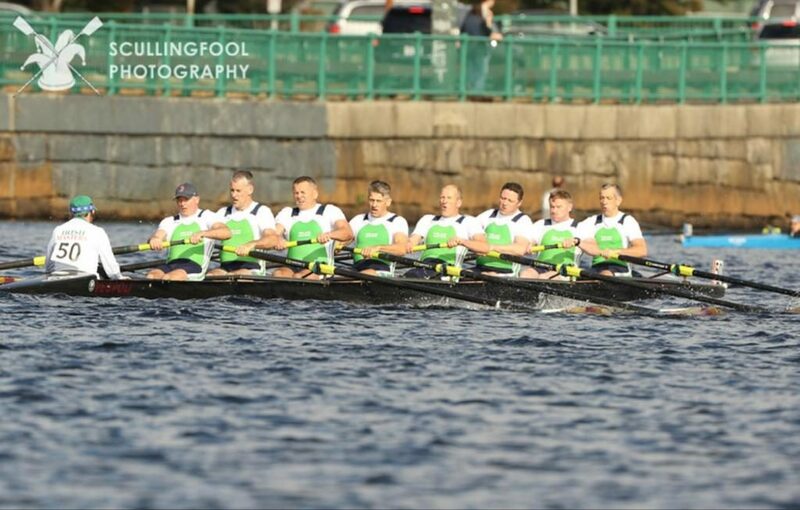 We would also like to congratulate Irish World Champions Sanita Puspure on winning along with her crew the Women’s Great8 and Paul O’Donovan on coming second at the Men’s Great8 at the Head of the Charles. Get your team ready or join a table to challenge yourself at our annual Fun Quiz Night on Friday October 12th, at O’Donnell’s Bar Mounthawk, starting at 8:00 pm. €40 per team of 4 and great prizes to be won! Thank you for supporting Tralee Rowing Club!